Tierra de Barros is a zone of wines and wineyards. The name can be translated as ‘Land of mud‘, so called because the fertiles fields of this area. Almendralejo is a beautiful city, a mix of modernity (it is a middle size city) and the charm of typical Spanish little towns. It is known as the Warmth Town, because the warmth of their people. In the Middle Age, the entire zone: Almendralejo, Villafranca, Aceuchal, Santa Marta, Villalba.. was under the control of the Order of the Temple (Knights Templar) and the Order of Santiago. And many towns holds monuments and military or religious buildings. 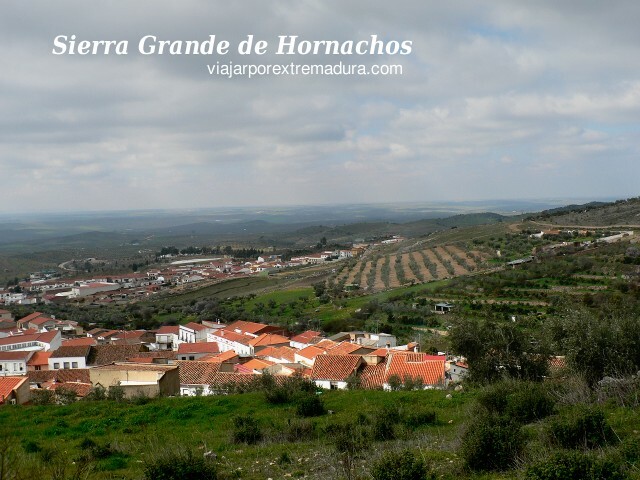 Sierra Grande de Hornachos is a mountain range in the middle of an open country zone, it is like a green island growing up from the land. The mountain range is a ZEPA (zone of special protection for birds), so it is the perfect site for birdwatching or just for walking and relax.